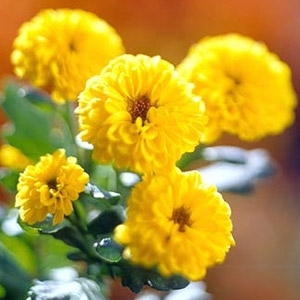 Mums liven up the fading fall garden with handsome flowers of nearly all shades and colors. Some varieties have daisy blooms; others may be rounded globes, flat, fringed, quill shape, or spoon shape. They work exceptionally well in container plantings and pots. We have more than 12 varieties for fall planting.